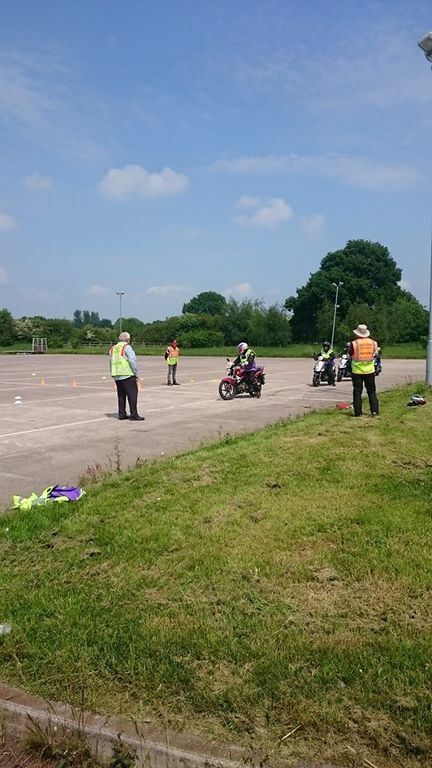 The official name of a CBT instructor is a "down trained instructor. You will be down trained by our qualified trainer of trainers and will fully understand the five modules or elements of the CBT. CBT means Compulsory Basic Training. Compulsory - must do it to be able to ride on the road. Basic - Simple, straightforward bike control, sufficient to allow the rider to ride unnacompanied by giving him or her the skills and confidence to develop further on their own. Training - Teaching new skills. Taking a total novice, first time on a scooter or small bike to the point when they can released into the big wide world. A down trained instructor is restricted to teaching on behalf of the training school for whom he is licenced. In order to progress to teach on bigger bikes the instructor must be approved by the DVSA. To become approved he/she must successfully complete a two day practical assessment at the DVSA training and testing establishment in Cardington, Bedfordshire. For more information click on the "Cardington Instructor" button on the drop down menu.